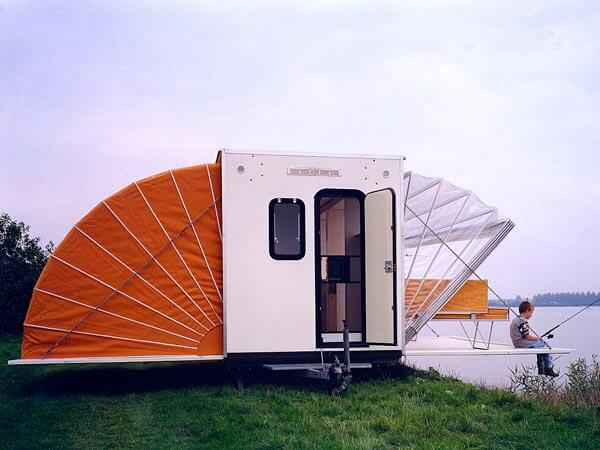 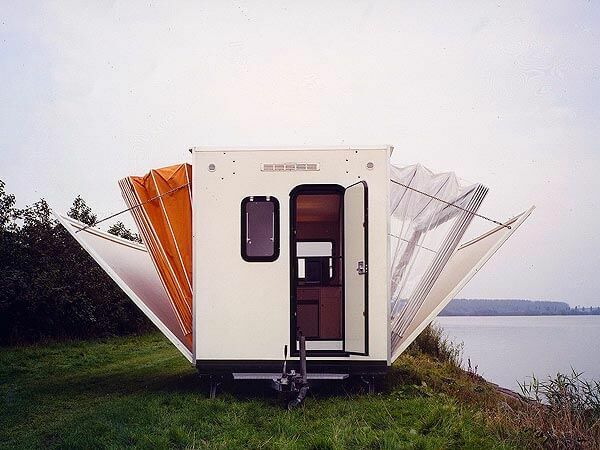 "De Markies" (The Awning) -- a pop out camper expands like an accordion -- is the brainchild of Eduard Böhtlingk who created this collapsible caravan. 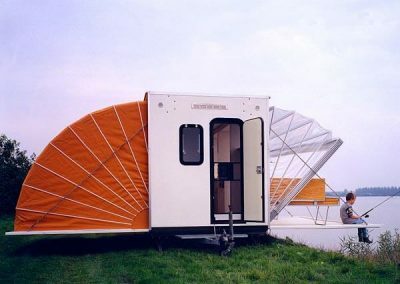 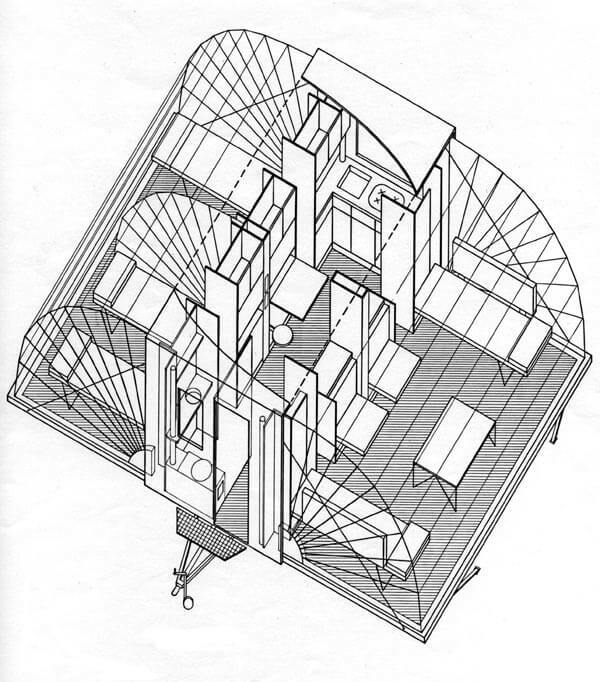 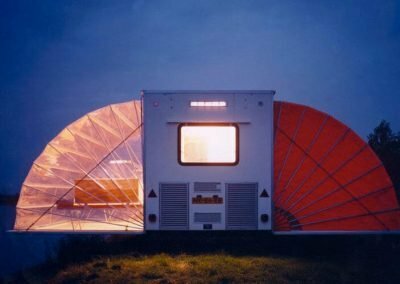 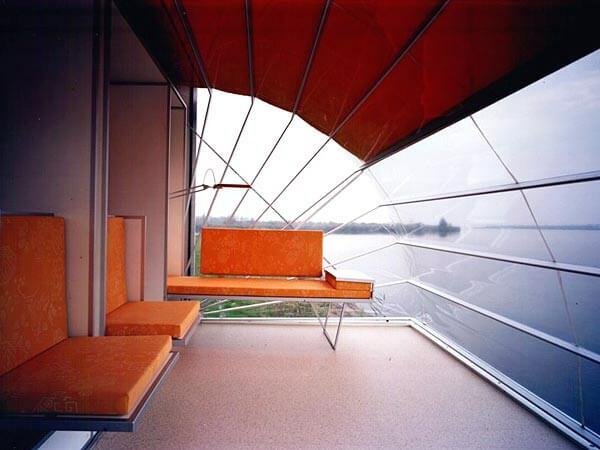 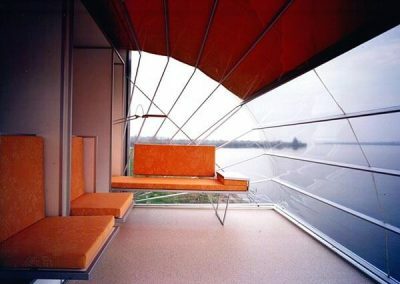 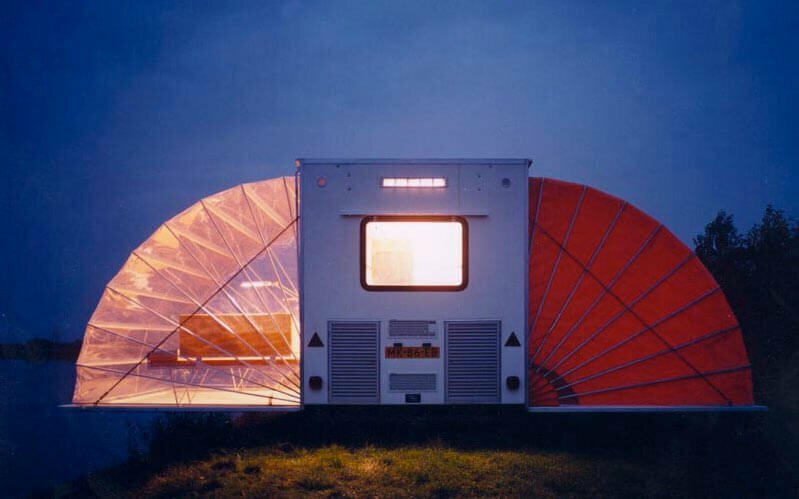 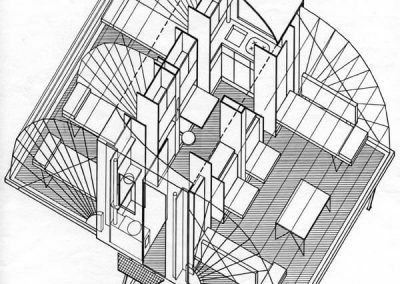 Conceived as a mobile home, "De Markies" was an entry in the 1985 "Temporary Living" competition and was awarded the Public Prize at the Rotterdam Design Prize 1996. 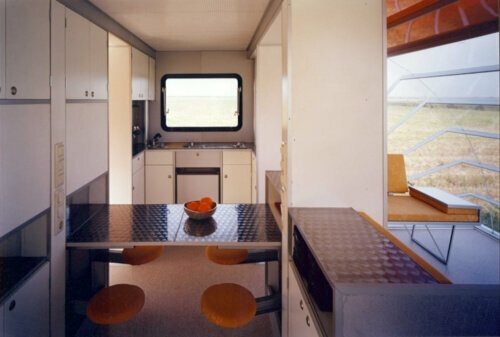 On the road, this unique RV measures 2.00 m by 4.50 m and, once at its destination, the sides fold out in a matter of seconds by a motorized device to triple its floor space. This unique RV is compact enough to be pulled by most any car, no matter how small and perfect for people who love fishing and find "normal" trailers claustrophobic.